Happy Tuesday everybody! I am excited today. Why? Well cause I have a cool tutorial to share with you. It has been on my do-to list for a LOOOOONG time now, to share this tutorial with you! Ive had the supplies and idea on hand and in mind for at least 6 months... probably longer actually. For some reason I kept pushing it aside.. but I finally MADE time to do it. I guess they could also come in handy for Halloween too for a costume. But me, I plan on using them as a photography prop. This little project took me about 30 minutes and cost about $10. Or you can spray paint it white if you dont have white. I used an old diaper box and spray painted it. 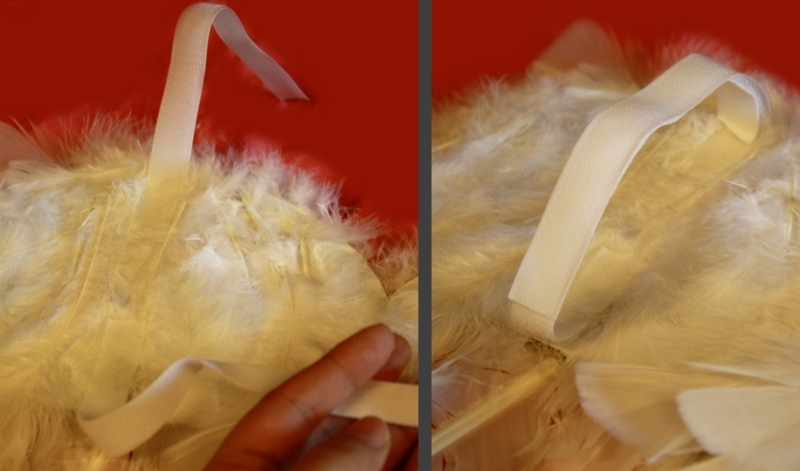 I used two packages of LONG white feathers, and only that green package of smaller fluffy feathers. I had bought the extra bag just in case.. but didn't end up needing it. I decided to go for velcro so I could adjust the size depending the age/size of kid using them. Also I know that elastic tends to stretch out over time. You are going to start out using the large long feathers. Stagger them (longer on outside and shorter as they go towards the middle) as shown and then glue them down. Once you have've added the large feathers to each side, now its time to fill in all the cardboard with the smaller feathers. There is no read trick to this, just glue and add feathers. be sure to have them all facing the same way. 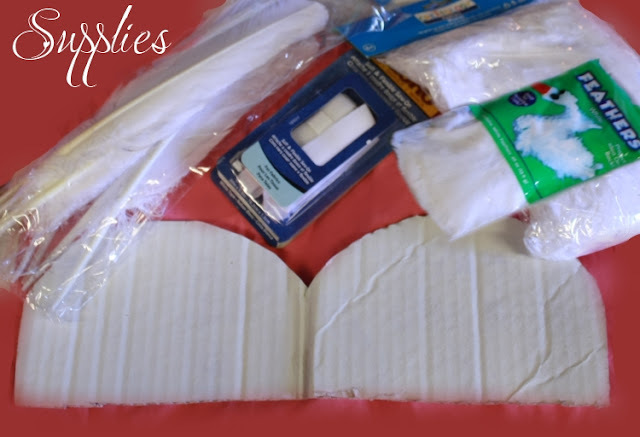 Glue and add feathers until all of the cardboard is covered. 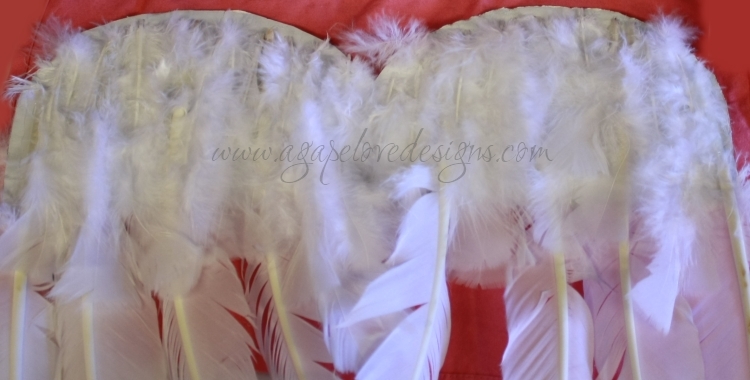 Be sure to add feathers on top, just curving them as you go. Flip the cardboard around and start covering the other side with feathers as well. Just the small feathers, you do not need to add the big ones again. This will be the side you add your velcro or elastic to. And thats it, you are done! 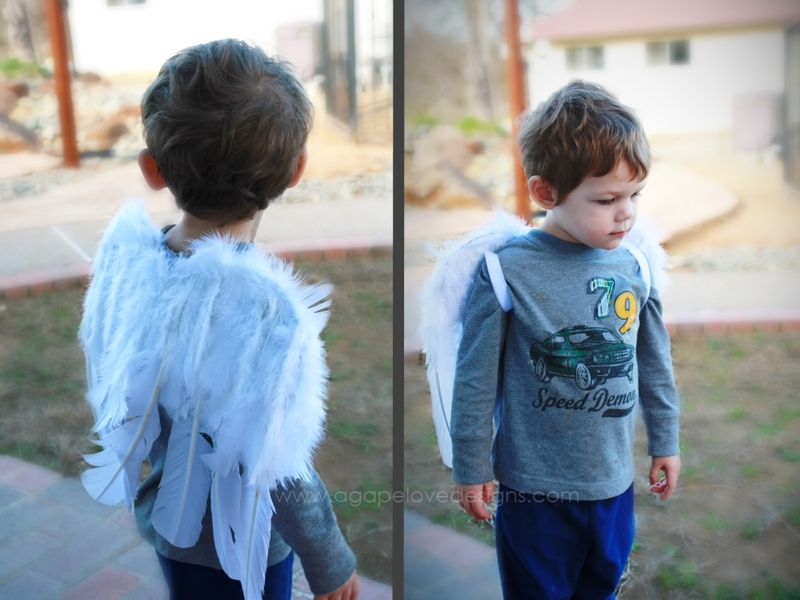 Now you have your very own angel wings for your photo shoot. 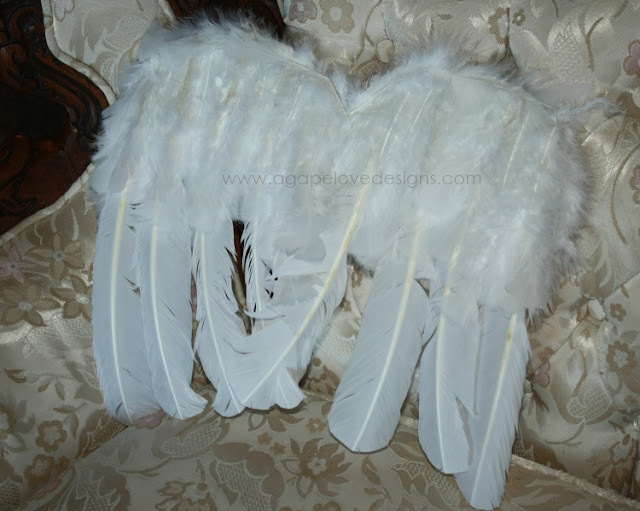 This was a lot cheaper than ordering angel wings somewhere...I've looked around and they can be expensive. But I think mine still look just as great! Genius! So easy even I could do it!! Thanks for sharing this. I love angel wings! Where did you find the long feathers? I'm not sure I've seen those before. I am so inspired I want to run out and buy feathers now! You're welcome! Thanks for your comment. 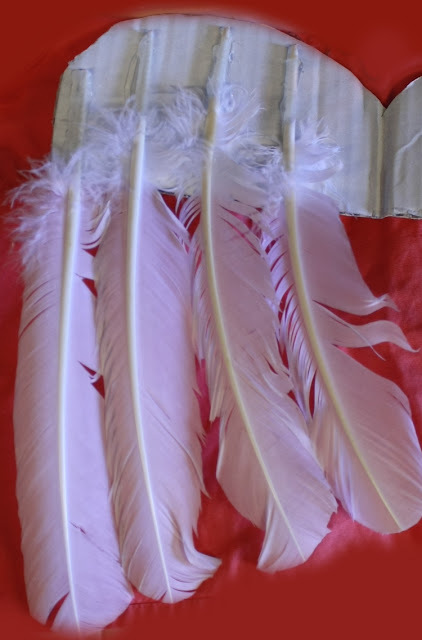 The long feathers I bought at Michaels along with the big package of feathers with the blue label (which I didn't end up needing). And I bought the smaller package of feathers with the green label at Walmart! 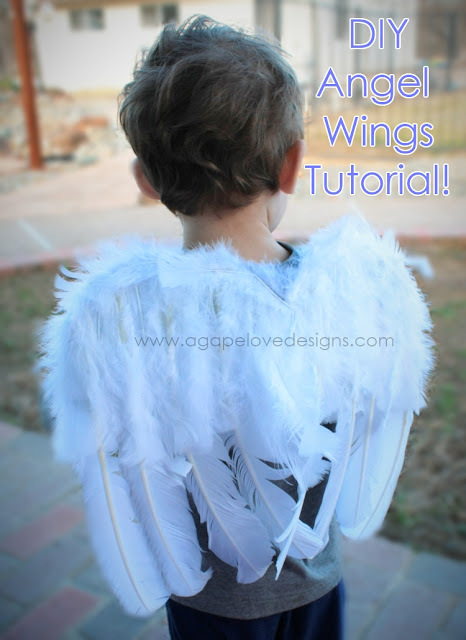 I have been wondering if I could make one of those wings! Thank you for sharing! Wanted to say thanks again! Mine turned out beautiful and I love it! I posted the link to your site.